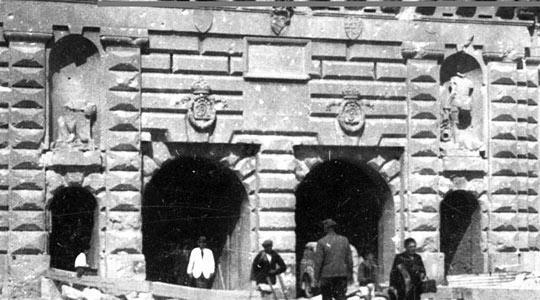 The two statues that stood in the niches at the entrance to Porta Reale and had been placed there when the entrance to Valletta was redesigned by the British Administration were of L'Isle Adam and de Valette. I agree with Fr Maurice Eminyan that these two grandmasters should be commemorated at the newly-designed entrance to the city. The original statues were destroyed in April 1942 by a bomb that pierced the bridge as can be seen from the photograph in the Malta At War archives. Also, the bust of Pope Pius V, which stood above the archway into Porta Reale looking towards Valletta, now in Great Siege Square, can easily be relocated.